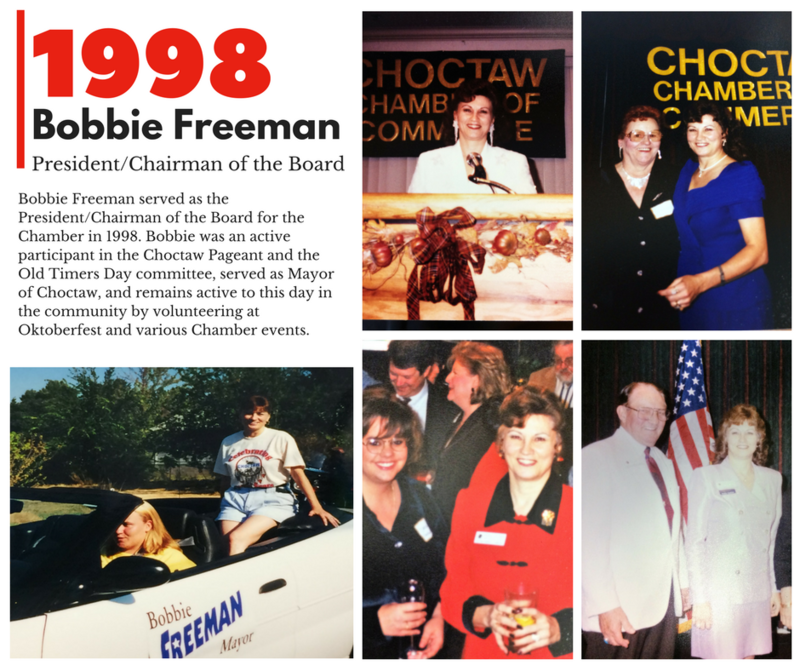 1998 was the year Bobbie Freeman stepped in to serve as the President/Chairman of the Board for the Chamber. Bobbie’s dedication and commitment to the Chamber and to Eastern Oklahoma County started well before 1998 and continues to this day. We appreciate all the hard work, dedication and time Bobbie has given to the Chamber and our communities.